Properly learning to fly fish will really enhance your ability and enjoyment of the sport as well as ensure that you start your fishing career with as many of the right habits - and as few of the wrong habits - as possible. 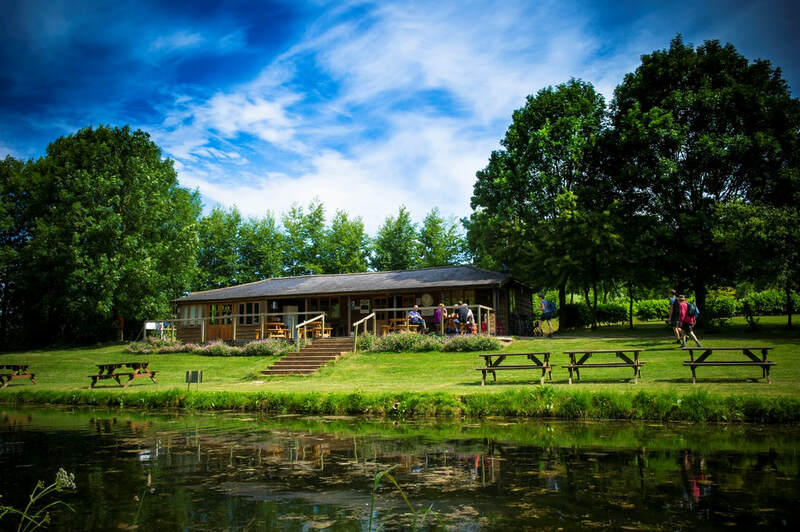 Meon Springs Fly Fishing School is one of the leading fishing schools in the South of England. ​Run by Greg Adlam, an experienced and qualified (Level 2) coach, we have a team of coaches and instructors to help you learn the simple and most difficult set of skills and knowledge required to fish gracefully and catch well. 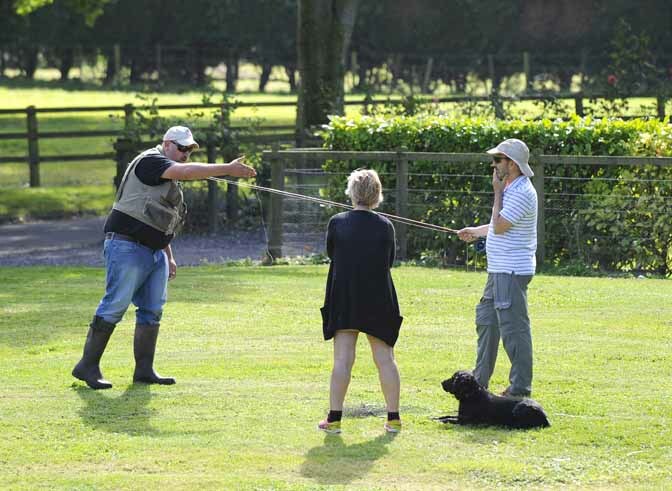 Before starting your learning journey, we always recommend that you come visit, trial a rod or two and just have a discussion with one of the fishing bailiffs on the day to get a basic understanding of what it is all about. If you want to pick up some starter knowledge, sign up to our fishing tips and "Getting Started Fishing Series" to get you in the loop with terminology and first principles. 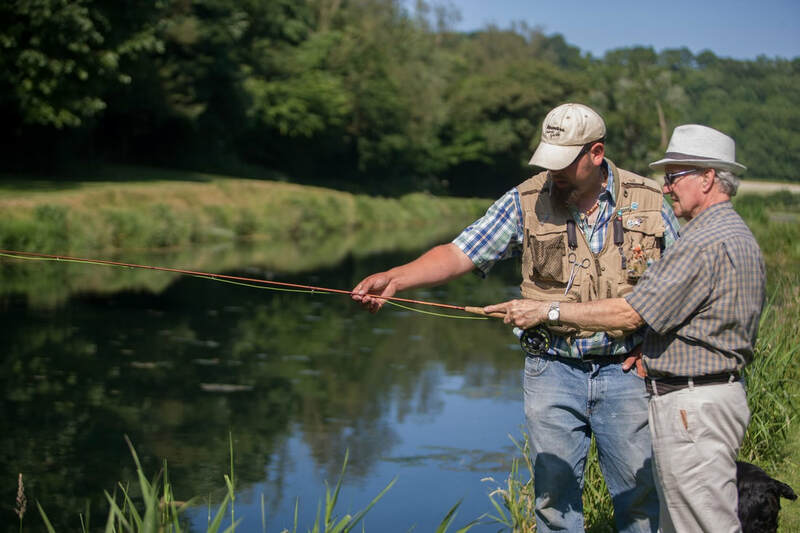 For up-to-date fishing reports and advice, plus our popular "Getting Started in Fly Fishing" series, please enter your details below. We don't believe you need to spend and age of time or a fortune of money to get into fly fishing and to help you realise that, we have developed a series of tuition inputs that will get you started, enhance your skills, answer your questions and develop your abilities. 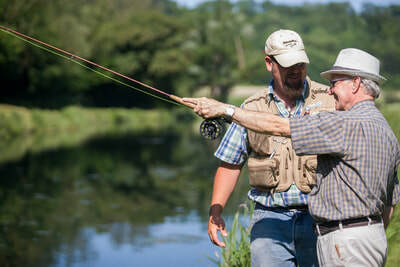 The first thing we normally recommend all beginners is to join us on a Fly Fishing Experience Day. Starting with an early morning coffee, a bacon roll and/or a danish pastry, you will join the day at 9am as part of a small group (no more than four people per instructor). 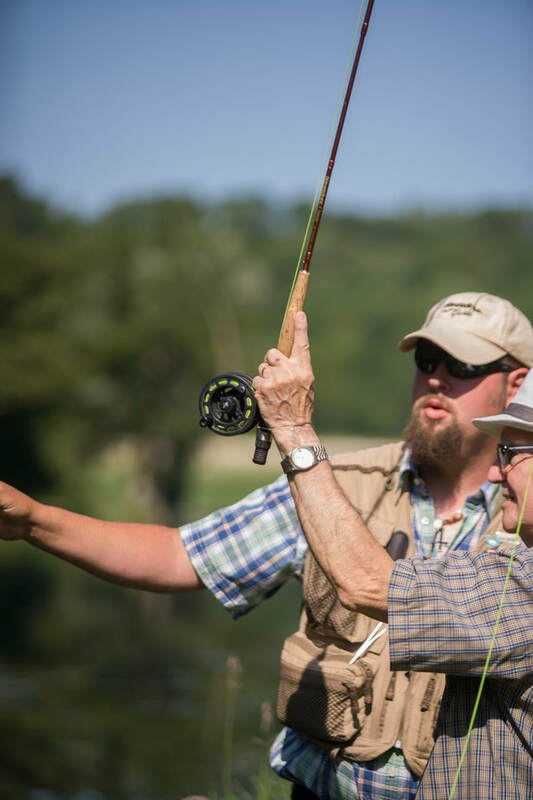 To begin with, you will learn about rods, reels, lines, priests (that are nothing to do with religion), ripple, flies and leaders as well as learn all the important health and safety aspects of the sport - such as the absolute importance of wearing eye protection, whilst fishing. During the day, you will see demonstrations on how to cast effectively and you will get plenty of opportunity to have a go yourself. Throughout the day you will have, on hand, one to one support from an instructor, who is passionate about improving your ability. 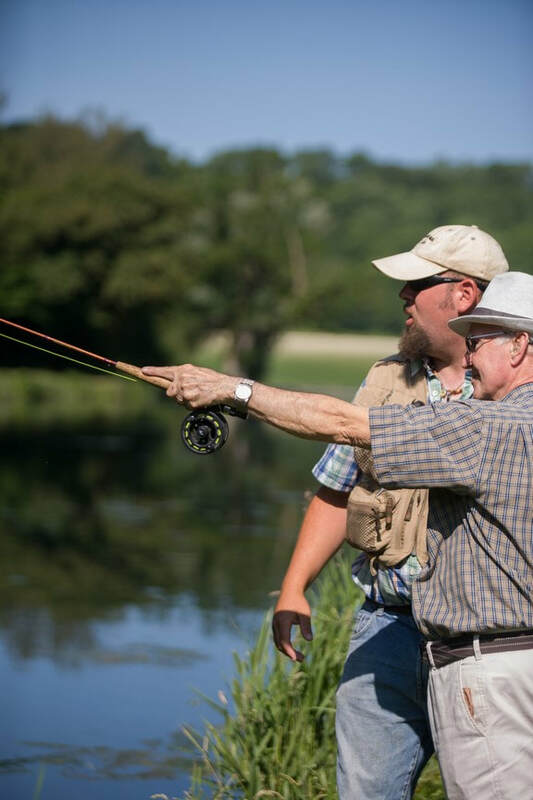 Once you've done an Experience Day and are getting the hang of fishing, you may find that you need to brush up on some of your skills. A really cost effective way of doing this is to book some One to One sessions with our team. These sessions last one hour and are ideal for picking up specific technical skills. One of the most popular One to One sessions is the Casting Analysis. Experience tells us that casting is simply an application of principles. Know the principles and deliberately practicing them will bring excellent results. However, without understanding the principles fully and without right practice, bad habits will result. 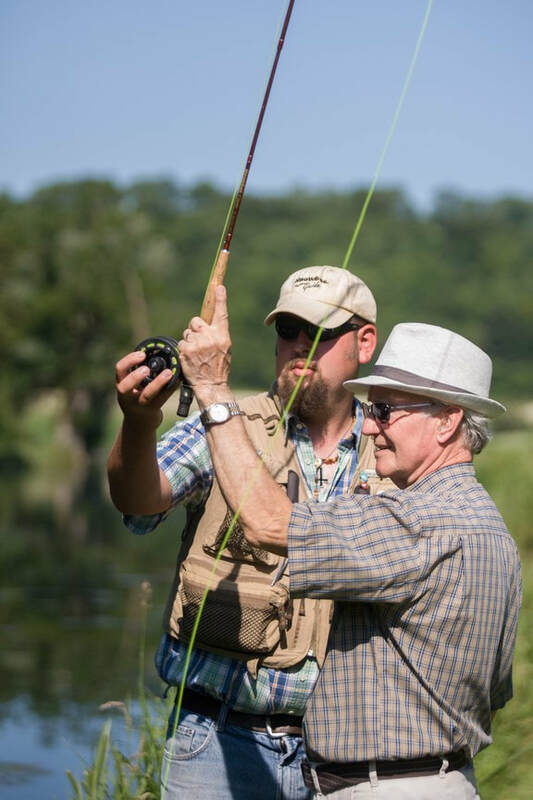 On a Casting Analysis, our instructors will observe your cast, identify what is working well and what is not, to help you find the feel of a perfect cast. 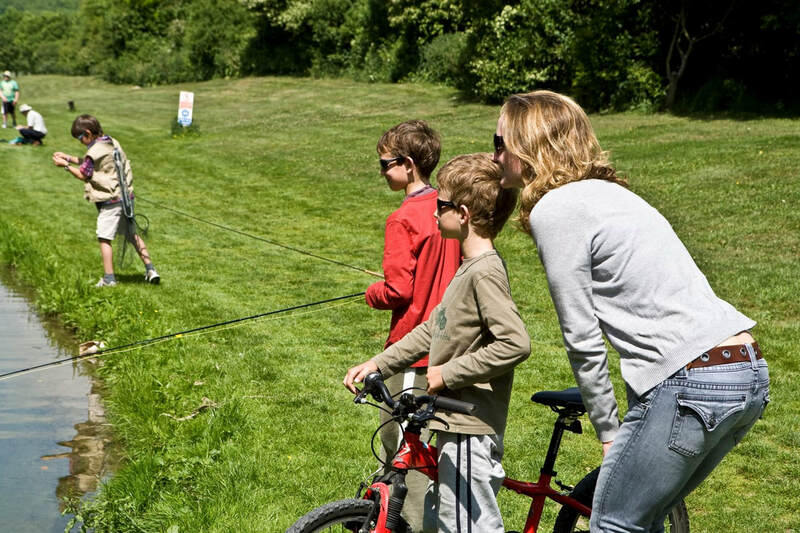 Our experience at Meon Springs is that children are full of enthusiasm for fly fishing but many of them have the attention span of a gnat. 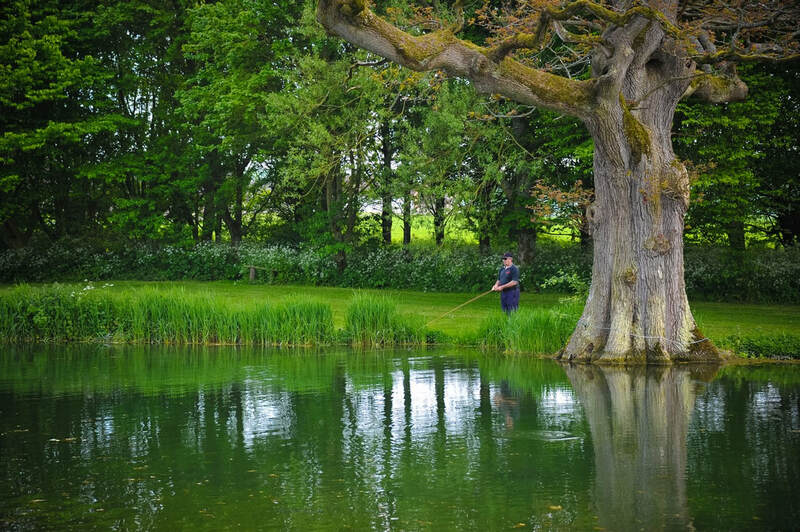 For this reason, we have developed a pond specifically for kids to have a go and catch a fish. Instead of using a fly rod, we use a spinning rod in this pond. It is great fun. 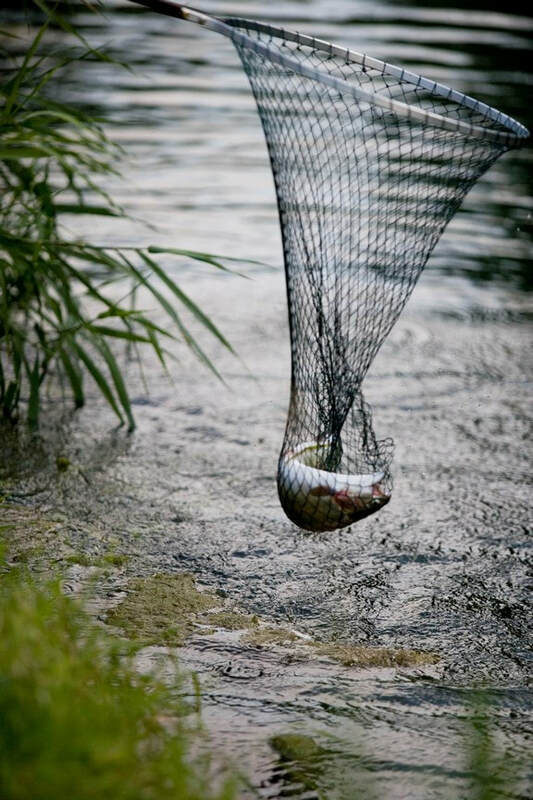 The session costs £20, including all tackle, instruction and one fish to take away. 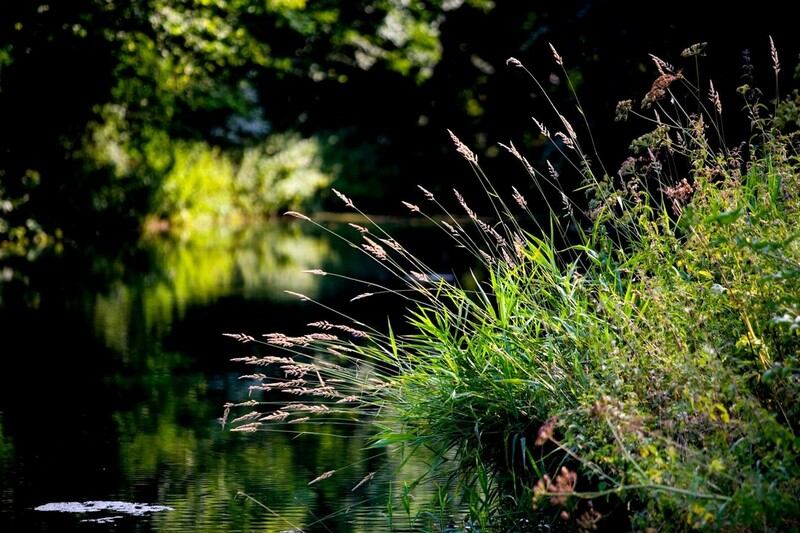 Please take a look at our Fishing for Children page for more details or call us on 01730 823134 to book a session. So where did this journey start? I grew up in Shoreham by Sea and cut my angling teeth, like many living near the cost and growing up, shore fishing and catching flounders, mackerel and any other fish that passed by my bait and took a fancy to it. After moving away from the coast and living inland for 30 years, I moved to near the south coast again and returned to shore fishing. But in the meantime, the fishing had got much harder, not to mention the huge amount of equipment that needed to be lugged around. Surely there must be a better alternative. During a drive through the Hampshire countryside, I stumbled across Meon Springs. 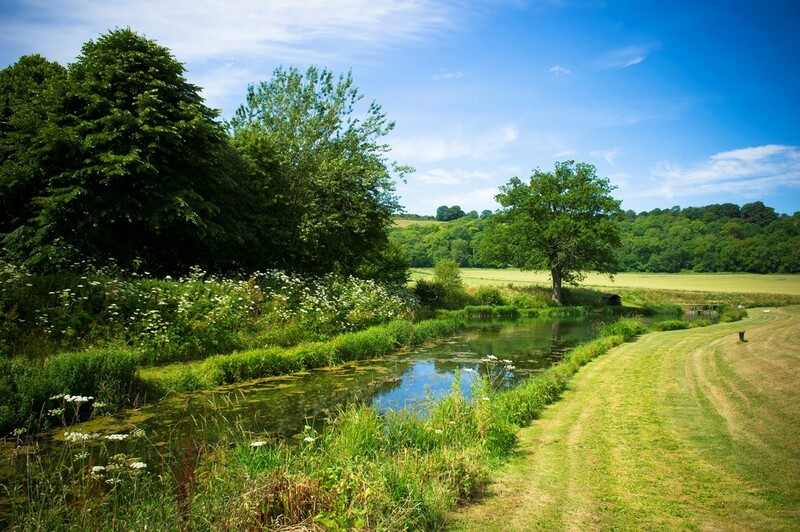 It is in an area of outstanding natural beauty and therefore a wonderful location. I was curious. What would fly fishing be like? 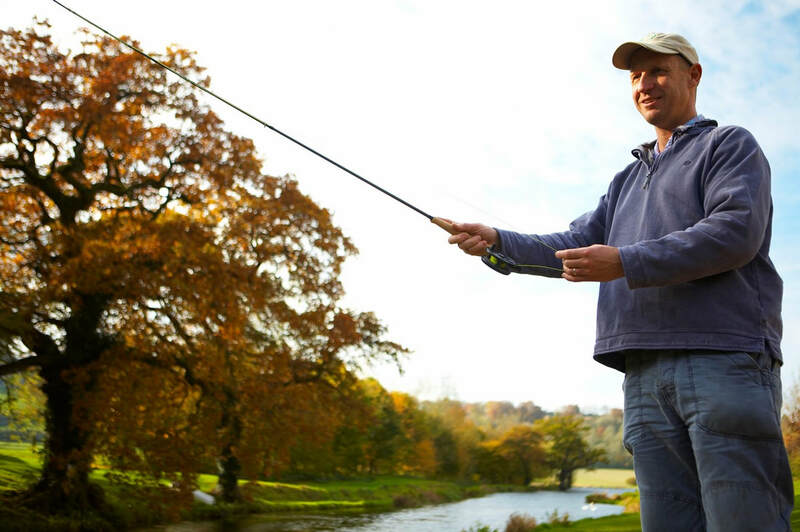 But hang on a minute, isn’t fly fishing just for posh people and not for ordinary people like me? I tentatively approached the lodge not quite knowing what to expect. Far from being elitist, the welcome was warm, having no experience was not a problem, the right gear could be loaned and an Experience Day could be organised. 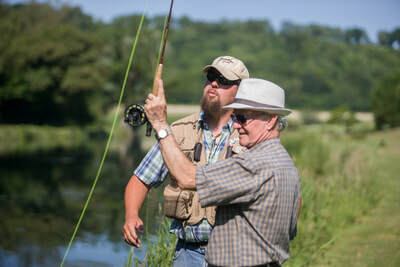 Emboldened, I signed up for the Experience Day and was taught how to cast, play a fish and what flies to use. I was mobile, the equipment was just so light, you were always in direct contact with the fish…I was hooked (pun intended). 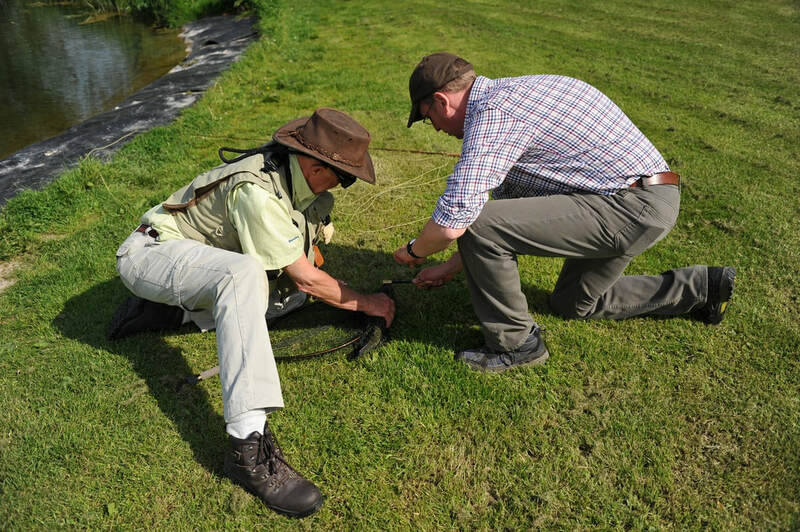 The following months were a learning journey: entomology, what flies to use when, how to fish a dry fly and, most important, how to cast properly. This is where Keith Poulton came to my rescue by teaching me the basics of casting and, crucially for the future, how to double haul. 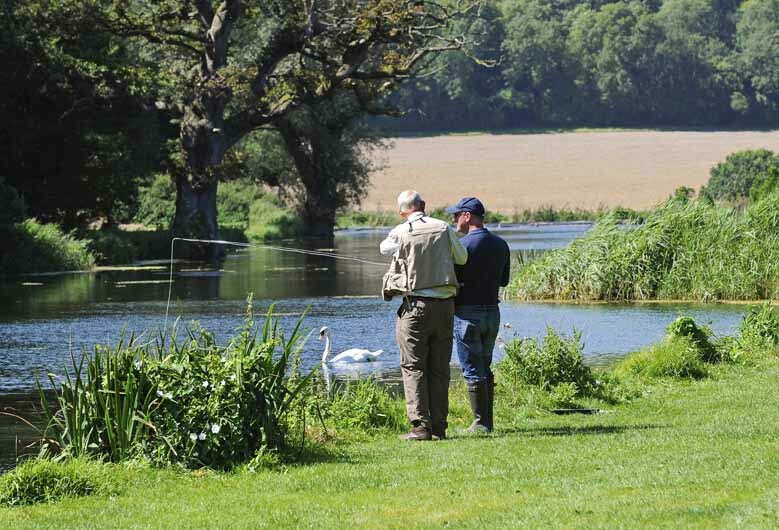 Meon Springs held an annual open day with fly fishing demonstrations, tuition, fly fishing companies and, as it happens, good weather. 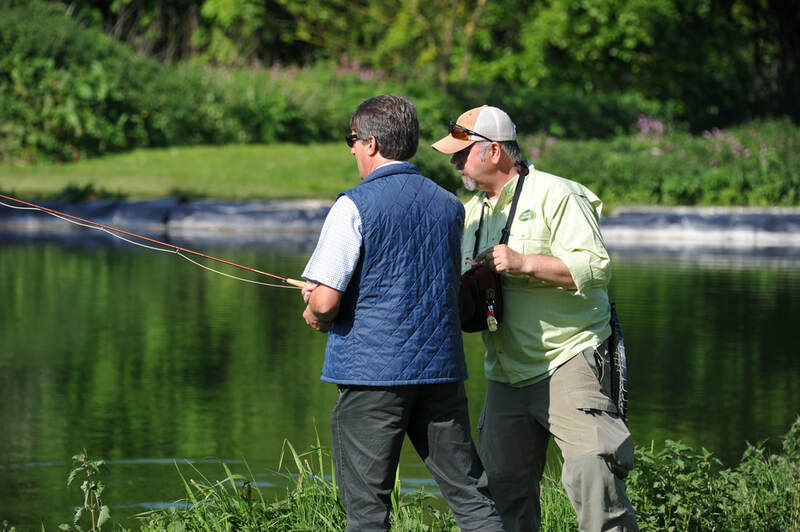 One demonstration was on double hauling by Justin Anwyl, a local saltwater fly fishing guide. So it was possible to fly fish in the salt. I was fascinated. Could I do this? I bought a secondhand 9# rod, a cheap reel, some clousers, some waders and headed off to Hayling Island, which according to my research, held the promise of bass. When I arrived, reality took place. The wind was blowing, there was a vast sea and my casting was woefully inadequate. It was time to back back to the drawing board and a return to Keith for more casting lessons. I had to improve my double hauling and more tuition with Keith helped. I got better. I caught my first bass, then mackerel and, on one occasion, a sea trout. The saltwater season from the shore is short in the UK. So it was back to Meon Springs. 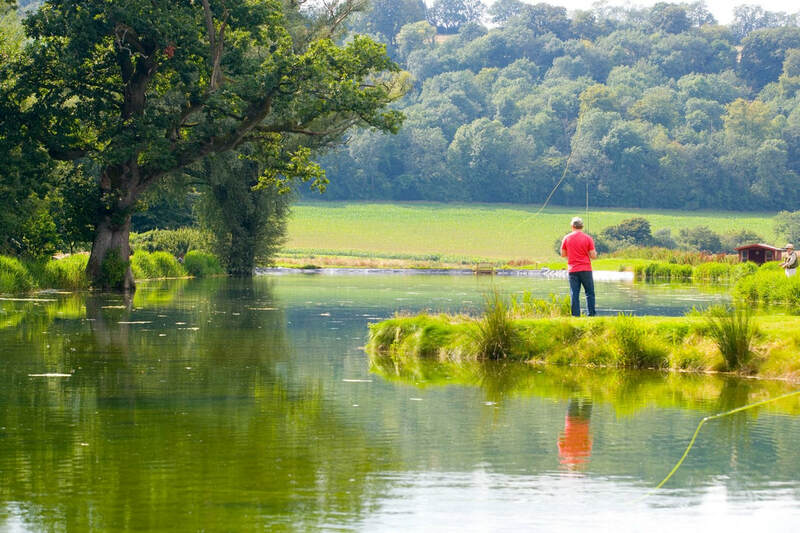 Sunday fishing at Meon Springs became a ritual, as did Rainbow Trout for Sunday dinner! My wife is not really a fish eater but she quietly accepted my Sunday night offering and supported me in my fishing. I was improving. Now for the catch and release. This was a stern challenge. It needed finesse and smaller flies. At this time I started to tie my own flies and experienced, for the first time, the joy of catching a fish on a fly I had tied myself. I was now fly fishing the salt during the summer season and Meon Springs the rest of the year. I was making fishing friends too who offered their help and guidance. What now? I started watching fishing programmes and really looked forward to any fly fishing parts. Salmon fishing seemed the next step. However, I always remembered a comedian’s comment after catching three salmon in Russia: this isn’t proper fishing; proper fishing is Scotland where you don’t catch anything. But the tropical saltwater fly fishing looked spectacular. To go tropical saltwater fly fishing became a burning ambition, and catching a torpedo like bonefish in particular. 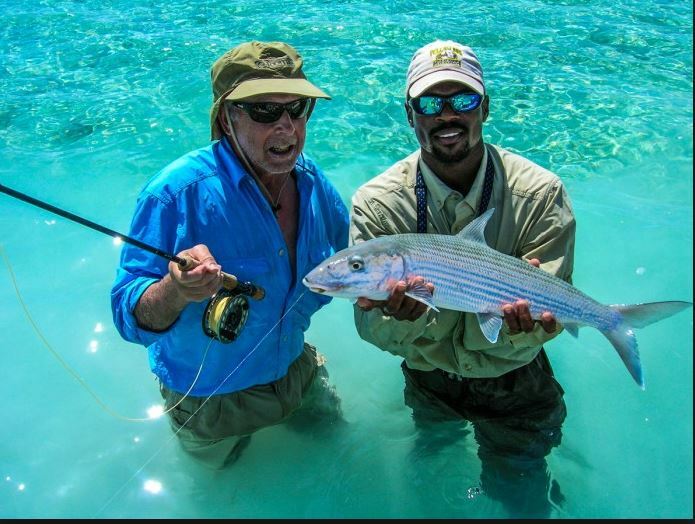 I looked at various websites, did some research and then saw an advertisement for a bonefishing school in Crooked Island in the Bahamas organised by Go Fishing Worldwide and hosted by Dave Grove and Fly Fishing & Fly Tying’s Mark Bowler. Supported and encouraged by my wife, in November last year I found myself on a plane to Crooked Island and experienced six days of exhilarating fly fishing for bonefish. I had satisfied a burning ambition.